Something unique to our practice that is rare in these times of rapid change is the longevity of our team. 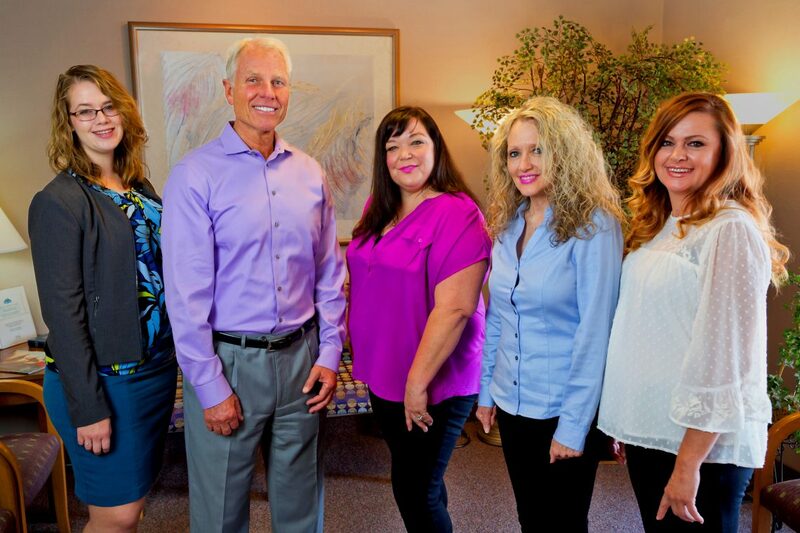 Dr. Kelstrom has been working with some of the same highly trained and experienced dental professionals for over two decades. 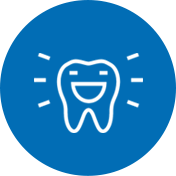 Patients love seeing a familiar face every time they come in, and they appreciate that they are greeted by name, that we know their dental history, and that we have invested in their long-term oral health and overall well-being. We go out of our way to ensure a positive experience for every patient regardless of what they are being seen for. We take as much time and attention as necessary, whether you are here for a routine checkup and cleaning or an extensive cosmetic makeover. Dr. Kelstrom shares the Vancouver community with his patients, and this is where he has spent his entire career and raised his family. He and his wife have three adult children, Jeremy, Jared, and daughter Lindsay. 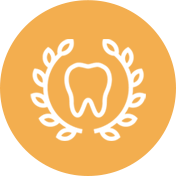 Dr. Kelstrom graduated with a dental degree from Loma Linda University in 1976 and began practicing in the Hazel Dell area almost immediately. He remains proud of the fact that he has many patients he began caring for fresh out of dental school that are still patients to this day. He has always made a long-term investment and commitment to every patient, and he truly cares for each one as a unique individual. 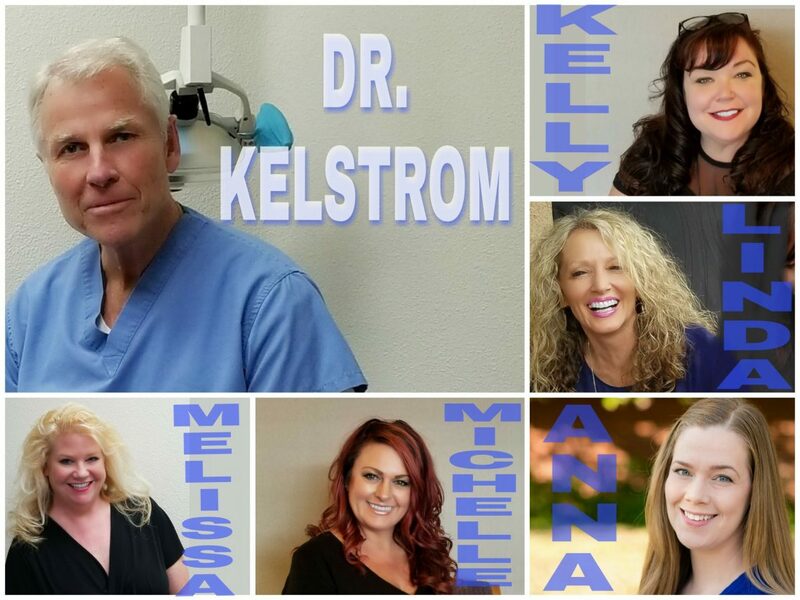 When he is not caring for patients or learning about the latest technology and treatments in dentistry, you will find Dr. Kelstrom staying fit and active by jogging, playing tennis, and sailing. He also likes to relax doing crossword puzzles, going on cruises with his wife, and just being a husband, dad, and granddad to his three grandsons, Caden, Jude and Liam. Originally from Dallas, Texas, Linda has worked with Dr. Kelstrom for over two decades. Before moving to Vancouver, Washington, she also lived in Modesto, California for twelve years. She initially got into dentistry by filling in for her step father-in-law who was a dentist. When one of his assistants went on vacation for an extended duration, Linda worked in the back as well as the front office. She enjoyed working in a dental office so much that she applied for a job with Dr. Kelstrom. Linda loves living in the Pacific Northwest and enjoys traveling, hiking, movies, car shows and spending time with her family. 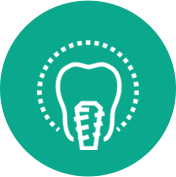 Born in Longview, Washington, Kelly has been a dental assistant since 1990. She often can be found upfront in our office working with Linda. Kelly has worked with our practice for over fifteen years. She began her Dental Assisting program immediately after graduating from Columbia River High School in 1989. Kelly is the youngest of five children. She has been married to her husband for 10 years and has a 16-year-old son Kody. Outside of dentistry, Kody is her world. Originally from Portland, Or, Michelle has been working with Dr. Kelstrom for 17 years. Her education includes course work at Concord college. Michelle enjoys working with patients and is proud to be able to utilize her skill so that when people leave the office they are happy and satisfied with the work that has been accomplished on their behalf. Michelle’s hobbies include gardening, classic cars, and doing anything out doors from hiking and boating to camping. She also loves spending time with her family, especially her seven grandchildren. Yes, you read that right seven grandchildren! Melissa is originally from the south but has been living in the pacific northwest for almost four decades. She graduated from Clark college in 1990 and is licensed to work in Washington and Arizona. She loves working with the public. In her free time, Melissa can be found visiting the Oregon coast beaches. She is a fan of the Oregon ducks and the NFL. Melissa loves to hunt for treasures at the local thrift stores but what she treasures the most is the time she spends with her family and friends. Before she graduated as a hygienist from Clark College in 2016, Ana was a stay at home mom to her son, Jamison. Her favorite part about dentistry is helping who are anxious feel more at ease and comfortable. She aims to leave every patient with a big smile (and healthy gums)! Originally from Portland/Vancouver, Ana now enjoys a gorge view from her home in Stevenson, WA. Her varied interests include taking hikes, crocheting Afghans, belly dancing and journaling.